How do you remain confident, optimistic and balanced in this economy? Thirty years ago, Paula Pagano, new to San Francisco from Laguna Beach, surprised everyone by becoming a top real estate agent in a tough residential market during a recession with 17% interest rates. 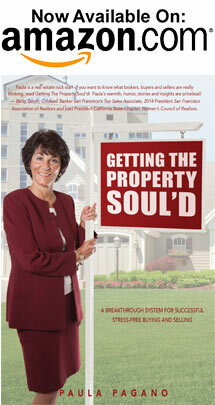 Since then, Paula Pagano has remained a Top Producer and elected by her peers to serve on both the San Francisco Association of Realtors and the San Francisco Apartment House Association Board of Directors. 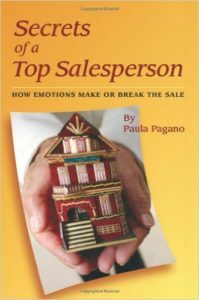 A trained Business Coach with CTI, Paula formed her own sales training company in 2003 called ClientConnect and recently wrote “Secrets of a Top Salesperson – How Emotions Make or Break the Sale”, which has become a best seller on Amazon.